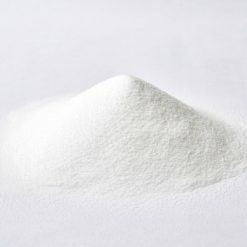 Only high quality citrulline from domestic brands is used.Only high quality citrulline from domestic brands is used. Citrulline is converted into the amino acid arginine in the body. It is advantageous because it increases blood arginine levels more so than just ingesting arginine itself. It is especially recommended for individuals that are hypersensitive to arginine. 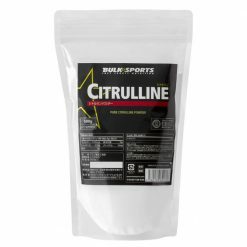 You can safely use Bulk Sports Citrulline because it only uses citrulline from reliable domestic brands. Take one capsule of citrulline with a meal that contains a lot of protein for best effect. On a day of training, take one 20 minutes before training. For the purpose of bodybuilding, take with EAA. To improve performance, take with BCAA. Take one spoon (about 2.2g) per serving. Take a spoonful (2.2g) of citrulline and leucine just before the meal that contains the most amount of protein of the day to boost protein intake. For best effect, use with Bulk Sports Big Whey to increase amino acid uptake. ■Take one scoop (2.2g) with BCAA during exercise to improve athletic performance. ■Take one scoop (2.2g) with EAA and LCLT 20 minutes before your workout to promote muscle growth. Please consult a doctor before use if you are taking medicine or have any allergies. Do not use if pregnant or nursing. Keep out of the reach of children.